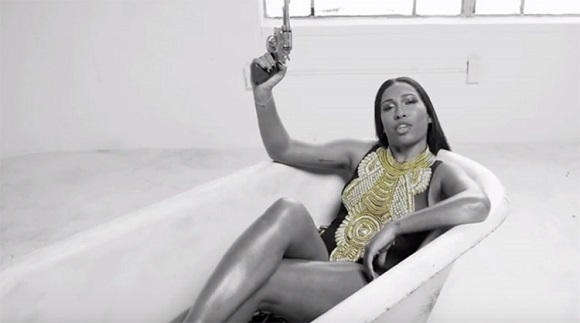 Melanie Fiona is bringing all her sexiness to the bullet-fueled visuals of her new single 'Bite the Bullet.' The monochrome clip, directed by Melanie’s manager Carmen Murray, shows the singer rocking a Michael Costello gown with quite the bang. She came through with this, and that's how an indie act should do it. She just needs to book some performances because no one even knows she is back out again. 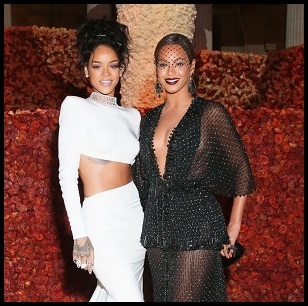 When Rihanna, Beyoncé, Alicia Keys and Janet drop their new music, I fear she would get tuned out completely. The song serves as her first offering from her upcoming third studio album 'Awake' via Title 9 Productions/Primary Wave.